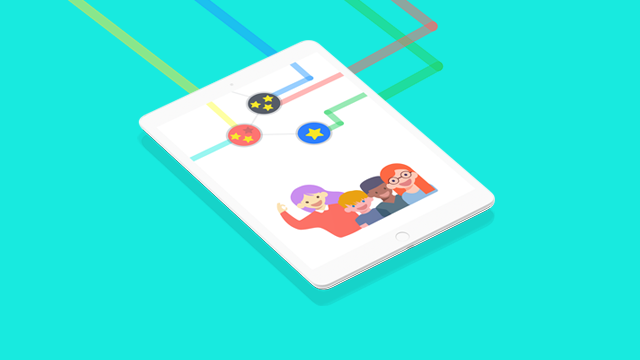 MathemaTIC’s personalized learning environment houses various digitally rich lessons, items, games, and tools, that engages and motivates students to improve their level of numeracy and make learning mathematics fun. Students interact with research- backed, engaging resources that are tailored to their needs and aligned to the learning outcomes as per the curriculum. Diverse resources enable the tailored instruction of mathematics for students resulting in an increase in engagement and motivational levels while achieving common goals. MathemaTIC provides teachers and students with real-time academic progress through actionable data. The dashboards allow them to view feedback that directly aligns students' needs with learning outcomes. MathemaTIC leverages various innovative technological features that make the platform accessible, simple to use, and easily customizable. MathemaTIC’s curriculum covers a variety of key mathematical topics including Number Sense and Numeration, Measurement, Geometry and Spacial Sense, Patterning and Algebra, and much more. The “Professional Learning Community for MathemaTIC” innovative project (“PLC for MathemaTIC”) is developed to support collaboration of teachers in primary schools in Luxembourg. Its aim is to support you, the teachers, to collaborate efficiently within cycles and schools, to achieve your goals and outcomes as a team. Want to learn more about MathemaTIC? Visit our community page to see our upcoming events where you can catch the MathemaTIC team and our featured stories! Request access to MathemaTIC to build and monitor your own classes and to try out our latest interactive formative, diagnostic and summative resources that make mathematics engaging for students.